Car Servicing Department - "A Family Run Business Specialising In The Motor Trade Since 1937"
Ready to book an MOT, Service or Repair? At Wallis & Son we offer a range of servicing packages that will leave you feeling reassured & satisfied. An every 12 months/ 12,000 mile service that offers oil & filter replacements & much more. An every 12 months/ 12,000 mile service that offers pollen & air filter changes & much more. An every 24 months/ 24,000 mile service that offers VHC & front/ rear brakes check & much more. We offer all makes fixed price servicing to our "Wallis schedule", this is for vehicles that are out of warranty and no longer need to follow the manufactures schedule. Switching to this will not only save you money but will also in most cases actually service your vehicle better, most manufacturers are now using long life servicing, not because it's good for the car but because it lowers running costs and helps to sell the car in the first place, following our Wallis service schedule and this will ensure car is as well maintained as possible. Winter & summer health checks for all makes & models. Why not kill two birds with one stone? Book both now! Let us take care of your pride & joy with a full mot. 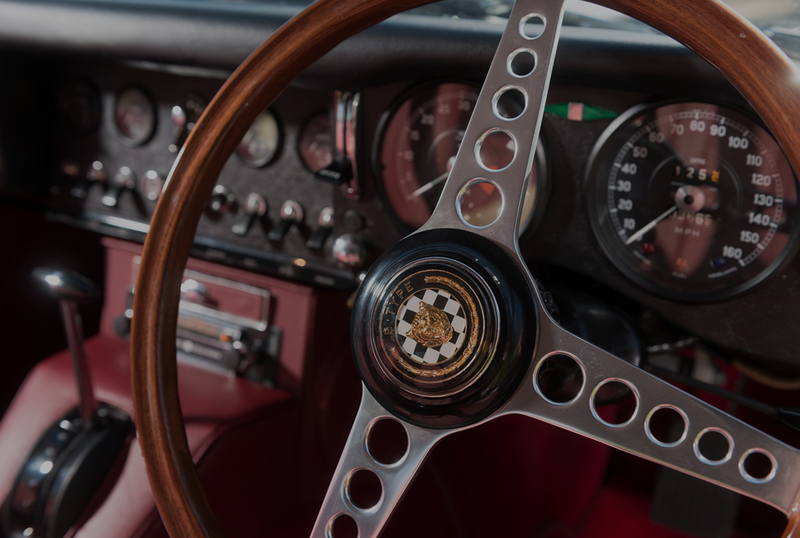 Our service department has over 80 years of experience and knowledge from the vintage cars to the modern day's cars and even the local runabout we can help our customers look after them all. We have over 6 fully qualified technicians with a number of them trained to IMI standards and fully Hybrid trained. We look after a large fleet of Hybrid vehicles and fully electric vehicles for a number of large companies and colleges in Cambridge. We can work on all makes of cars petrol, diesel and Hybrid electric with the specialist tools on hand and the experience and knowledge to fix faults the first time. All our staff have experience in the motor trade and have been picked for their knowledge and experience of a varied number of manufacturers and our front of house team in the office are also ex-technicians so they can clearly explain faults to customers in a way that the customer will understand should they not have knowledge of the faults or services they have had done. During the winter months, it is even more important to check that your vehicle is well maintained and in good running order. Wallis & Son would like to help prepare drivers for the unpredictable British winter weather. This service is also a great thing to do before you plan any long trips in the winter or summer so if you are not due a service why not pop your car in for a health check before that long trip away. Wallis & Son Service Centre is offering fix price servicing now from £135.00 in Cambridge and Royston and also a Winter/ Summer health check (RRP £39.95) on all vehicle makes and models. The winter check includes brake, battery, light and tyre check, all tyre pressures will be adjusted as necessary and oil and screen wash, antifreeze, brake fluid levels topped up if required and the fixed price servicing gives you the option to maintain your car the way you want to and this is more than likely to be better than the manufactures schedule. We can also offer this service in the summer to get your car ready for any long trips you may have planned with your MOT if your service is not due. General Manager Richard Evans is in overall charge of the workshop operation at Wallis and Son, with Christian Peck dealing with all of our customers' requirements, so you can be sure you're in safe hands. Wallis & Son is a member of the Good Garage Scheme which means that the dealership must adhere to a strict code of conduct. Only the very best service garages are permitted to join the scheme which is designed to maintain the highest workmanship and customer service standards. To ensure that these standards are upheld, every member is regularly assessed by the organisation's own highly skilled technical inspectors. Wallis & Son is also a member of the Retail Motor Industry Federation (RMI) which provides customers with further reassurance and assistance if needed. Wallis & Son has invested more than half a million pounds in order to provide the Service Workshop with the very best facilities. This highly impressive workshop includes the latest tools and 'SNAP-ON' and 'Auto Logic' multi-franchise computerised diagnostic fault finding systems are featured along modern 'Sill Lifter' ramps which magically disappear into the concrete floor whilst not in use to save space. The up-to-date MOT testing bay can provide tests on all cars and light commercial vehicles, Richard and Christian ensure that there are almost 'clean-room' conditions within the workshop which you can view from the comfortable reception area whilst waiting for your vehicle to be MOT tested. 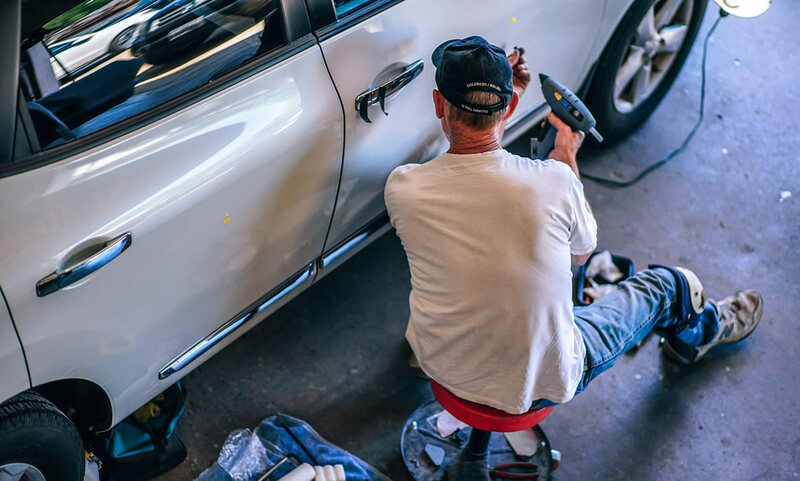 Everything from routine servicing to major repair work is undertaken on all makes and models and the accomplished technicians are highly trained to deliver the best possible workmanship and all work and parts come with a guarantee. You will find the workshop open from 8.30am till 5.30pm Monday to Friday and from 8.30am until 12.30pm on Saturday. Only genuine or equivalent manufacturer replacement parts are used during servicing and repairs and our labour rates are extremely competitive against those charged by many main dealers and our local competitors. What's more, servicing can be performed on new vehicles still covered by the manufacturer warranty as all tasks are performed exactly to makers' service specification as required. This means that you can receive the highest quality workmanship at a value-for-money price. 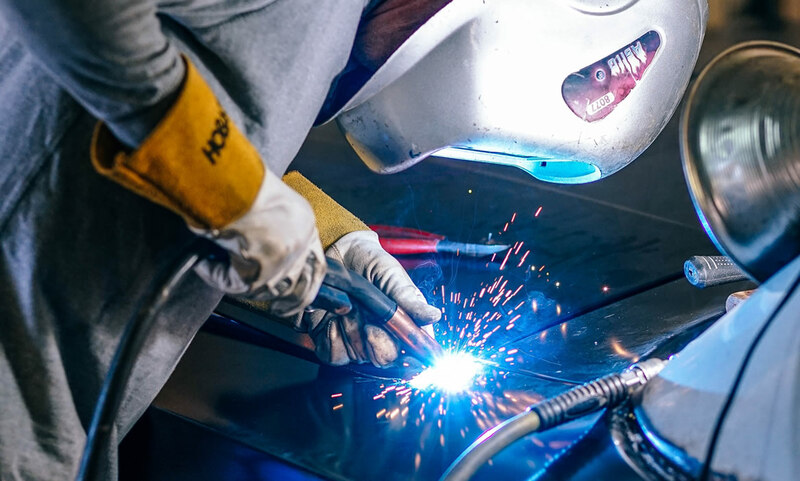 Several members of the workshop team have remained with the dealership for more than 50 years which helps when it comes to providing continuity of service. MOTs can be carried out while you wait, but for longer periods Wallis & Son offers a free courtesy car or van while we have yours. Read comments from a few of the many satisfied workshop customers on the Customer Testimony page. A considerable number of local businesses use the services available at Wallis & Son, and Cambridge University regularly maintains their fleet of 50 vehicles through the workshop as well as local builders and companies this is helped by the varied fleet of vans and tippers we have to loan to them while we have theirs. 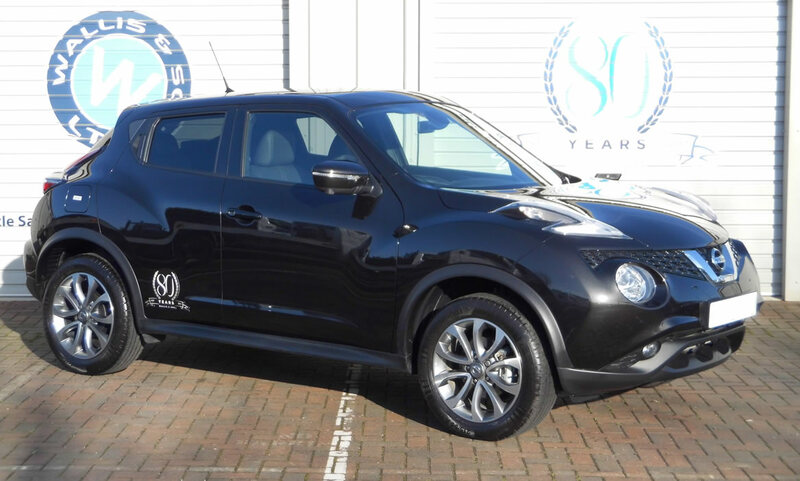 The company operates one of the largest courtesy fleets in the region and the new high specification Nissan Jukes which are replaced every two years. Running a large courtesy fleet assists in reducing lead times. Book your vehicle into the recently expanded and modernised workshop and the eight expert technicians can often begin work the very next day, while you drive one of our courtesy cars free of charge. Hardly surprising then that Wallis & Son have many repeat customers who are delighted by the excellence of workmanship and reasonable labour rates charged. The company's primary focus is customer service and this is evident in everything they do from when you walk in the door to when you collect your vehicle after the service, MOT or repairs. As we all know, air conditioning keeps you cool, comfortable and alert at the wheel. It can also reduce driver error caused by fatigue or frustration and can help with the de-misting of windows. 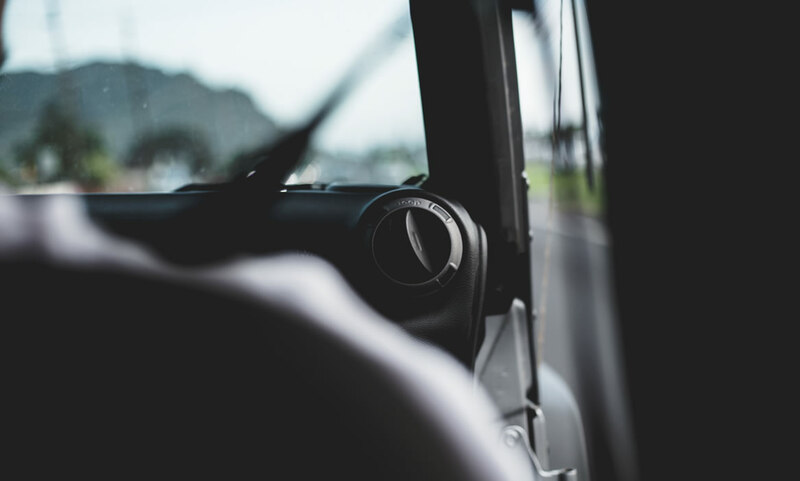 Although most vehicles are now fitted with air-conditioning as standard, strangely the system is not often included in the manufacturer's servicing schedule. A poorly-maintained air-conditioning unit can also drain power from your vehicle's engine and increase fuel consumption dramatically. It's also worth noting that if your vehicle's air-conditioning system has not been maintained regularly it can harbour harmful fungal spores, especially if the system hasn't been operated for a while. When you switch on your vehicle's air con unit these spores are released through the ventilation system. When inhaled they can have harmful effects on your health and it is possible that you may experience unpleasant flu-like symptoms. Not regularly servicing the system could mean that it fails just at the moment when you need it most, in the heat of the summer or when demisting windows in the damp or cold of winter. Repairs almost always turn out to be a lot more expensive than a service and, as the old saying goes, prevention is better than cure. 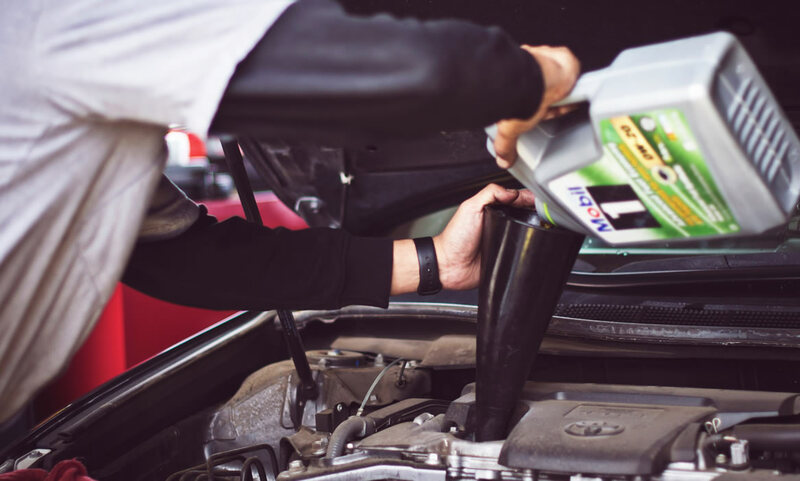 Wallis & Son's technicians are highly experienced in the field of vehicle air-conditioning maintenance and can change poly-filters, disinfect the system and re-gas your vehicle's air conditioning unit to ensure that it's working safely and efficiently. To avoid reduced performance, bigger fuel bills and future costly repairs, let Wallis & Son carry out a service on your vehicle's air conditioning system. It will save you some potentially heavy bills in the long run. We also have free WiFi while you are waiting for your vehicle and a new coffee bar and hot food! Get customers ready for winter and make sure their headlamps are working to their full capability or just give their car a new fresher look!